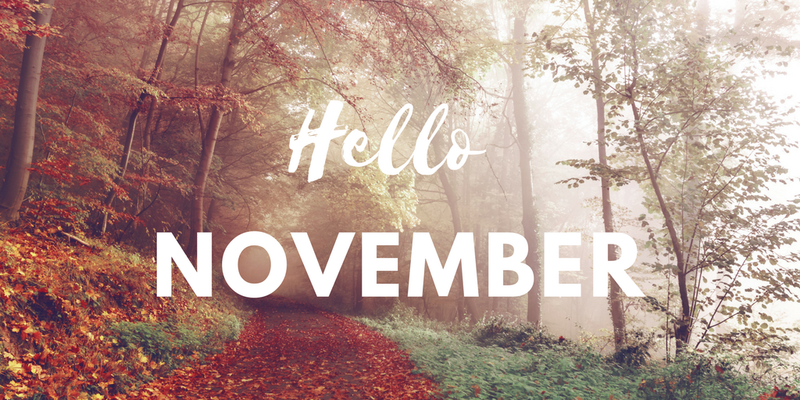 November is a beautiful time of the year, although I am not a fan of the weather I still love the season change that November offers. Bonfire night.. if you don't know what this is, Bonfire night is an annual event dedicated to bonfires, fireworks and celebrations. There are many names for this, others call it Guy Fawkes night. 'Remember Remember the 5th of November'. It's only one month until Christmas!!!! Coats, hats and scarves are a fashion must have! It's officially too cold to just wear a jacket! Fall weather is officially here! October can slightly tease us with this. However, November brings the full impact of autumn weather. Movember - that's right, moustache November gives men the excuse not to shave. I love my boyfriend when he has a beard so it's a win win for me! Also, it's a charitable time allowing a variety of charities to reap the benefit of a lazy man month. Great month for movies, The Hunger Games Mockingjay part 1 is soon to be released. We heart Katniss Everdeen!! Excuse to drink warm cider.. the Rekordilig winter cider - apple, cinnamon and vanilla flavour!! Shopping..Shopping... Shopping!!! The perfect excuse to shop, ermm yeah it's for Christmas! Fluffy dressing gowns!! That's right, I said it! I love slippers and fluffy dressing gowns. I have the most amazing one from M&S. Cosy! For my American friends, this is for you! Thanksgiving!! Great food, appreciation and blessings!